Olive/Sand canvas with oxblood leather trim. Dimensions L 34cm x W 10cm x H 31cm. 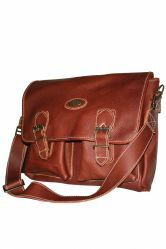 This Rogue bag is a popular buy for people planning a Safari type holiday as it can carry binoculars, books, camera, a drink and sunglasses comfortably. It looks equally at home in the city when loaded with your laptop and file! 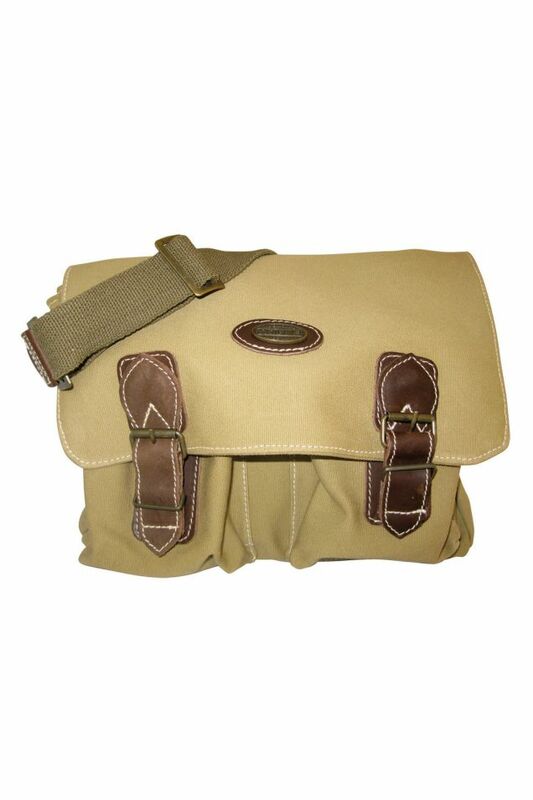 This Rogue bag would make a great companion to the World Cup in 2010 - great for match days and safari! The Rogue range of bags are made to be used! They are strong and functional yet have great style. They are hand made in Africa by Rogue as shown here. 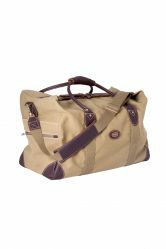 The Rogue leather bag and canvas bag will stand the test of time, and continue to look stylish and remain functional after lots of use! 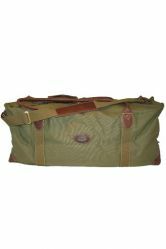 The bags are great for travelling overland or by air, and have honestly been tested out by "Real people"! Whatever you choose - a leather bag or a canvas bag, neither will disappoint. Perfect safari bags. 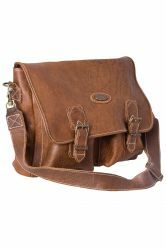 Rogue Buffalo bags are genuine African Buffalo and have their own distinctive look - one you can only love!